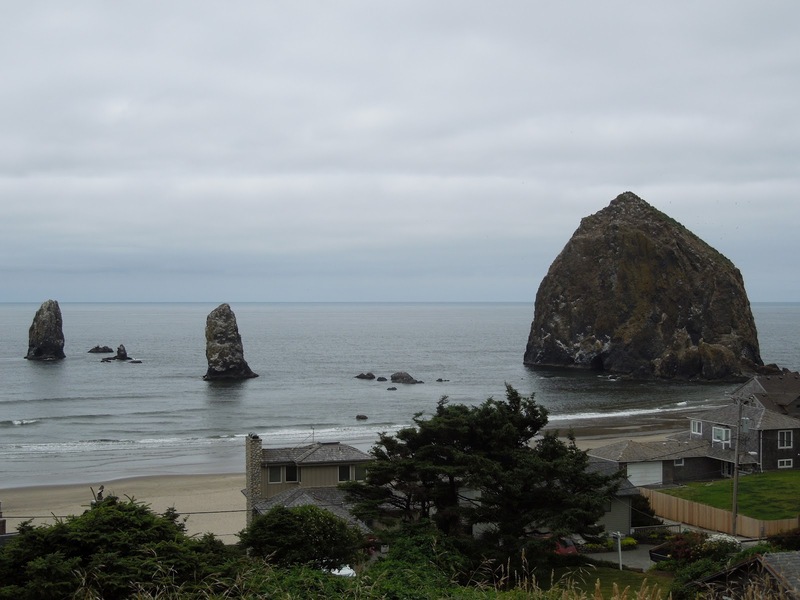 After Lil Sambo’s for pancakes, we leave Lincoln City heading north, with our ultimate goal of reaching Portland before dinner time. 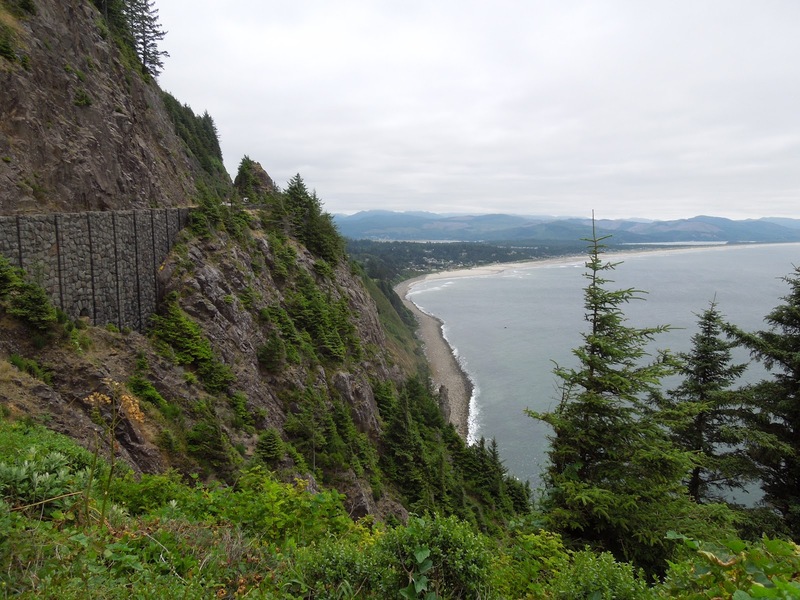 We continued up Highway 101 snaking along the coast line with plans to stop in Tillamook (yes, to see the cheese factory) then work our way up to Cannon Beach then to Seaside. Traffic was light and it took us about an hour to get to Tillamook. If you aren’t familiar with Tillamook Cheese, you are missing out. I, of course, never had visited this place before, despite the fact that I grew up a mere 50 miles from it. Had to check it off my list while we were here though. The tour…well, really isn’t a tour. There are some posters lining the walls telling the history, some huge windows looking out onto the factory floor, a queue to sample 6 difference cheddar cheese flavors (FYI, don’t try the garlic chili pepper cheese – it is a bit overpowering and really stays with you for the rest of the day. The factory also has a small restaurant where you can get burgers and grilled cheese (of course) and an ice cream shop. Yes, we did sample some Tillamook ice cream. I took the most logical route and had a sampling of 5 different flavors, while MS stuck to the Marionberry Pie flavor. This tour is something you just have to do if you live in the area or are driving through. We spent no more than 30 minutes on site and the “tour” itself was free. Go and do it. 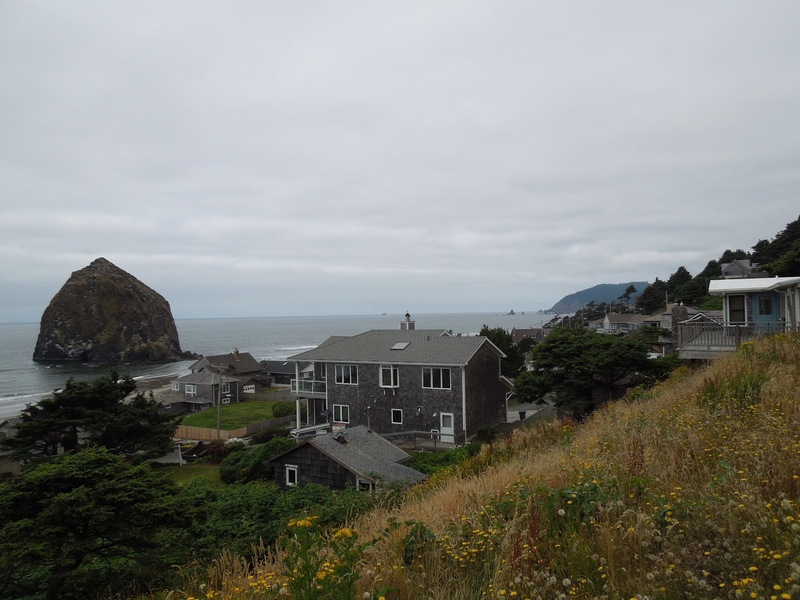 After leaving the factory we continue north on Highway 101 making our way to Cannon Beach. There are some beautiful homes along the water front. 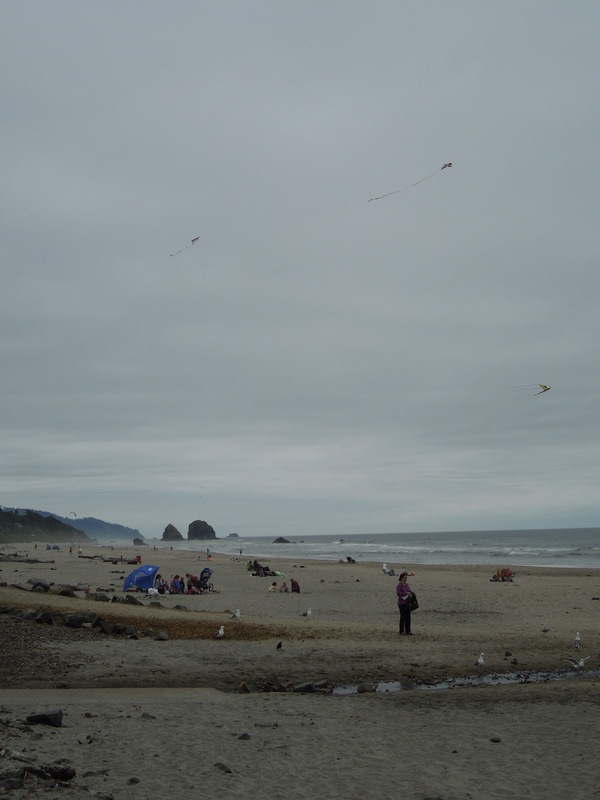 The families of several college friends have homes in Cannon Beach — which is just about an hour and a half from Portland, making it a nice weekend getaway. 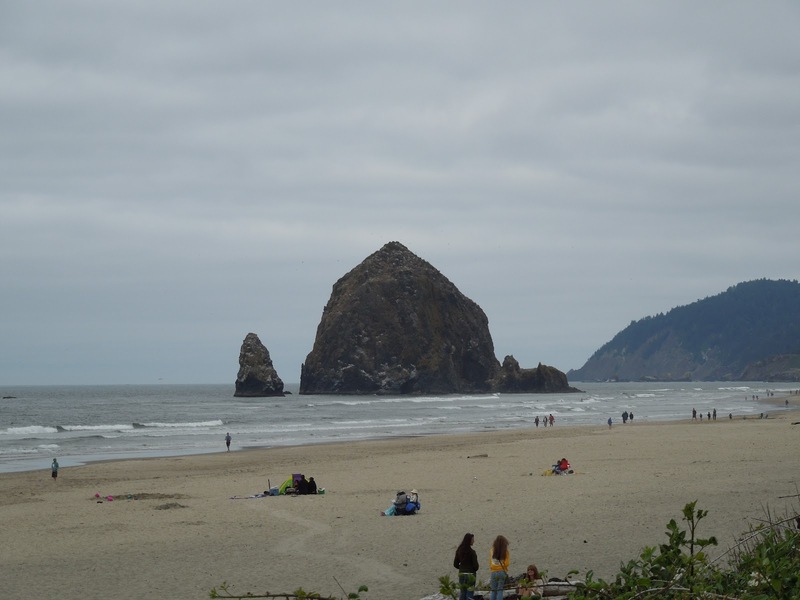 I didn’t have anything I wanted to see in Canon Beach other than the ocean, the beach and to show Mike Haystack Rock – which is the view of the Oregon coast most people think of. 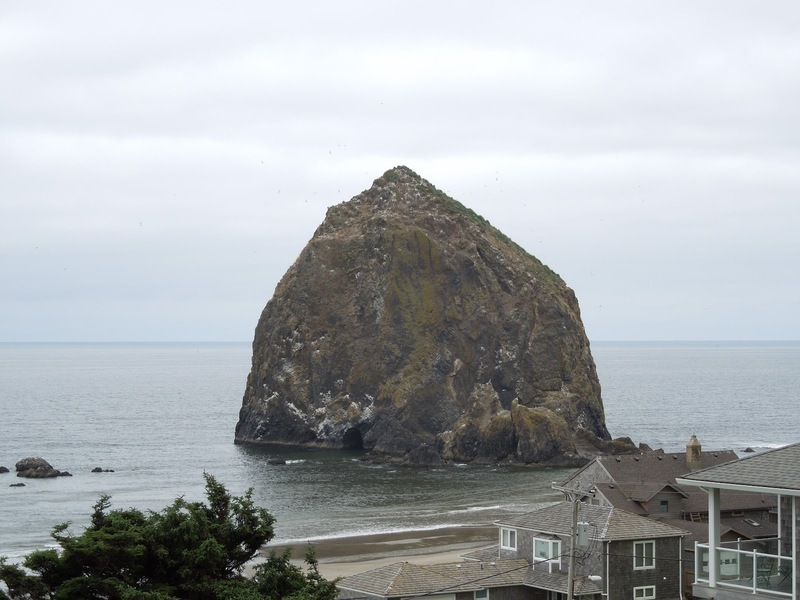 Plus, Haystack Rock plays an integral part in the movie The Goonies. The drive along the coast is quite beautiful. The pictures might look like we were there in late fall or winter, but no, it was the first week of August. 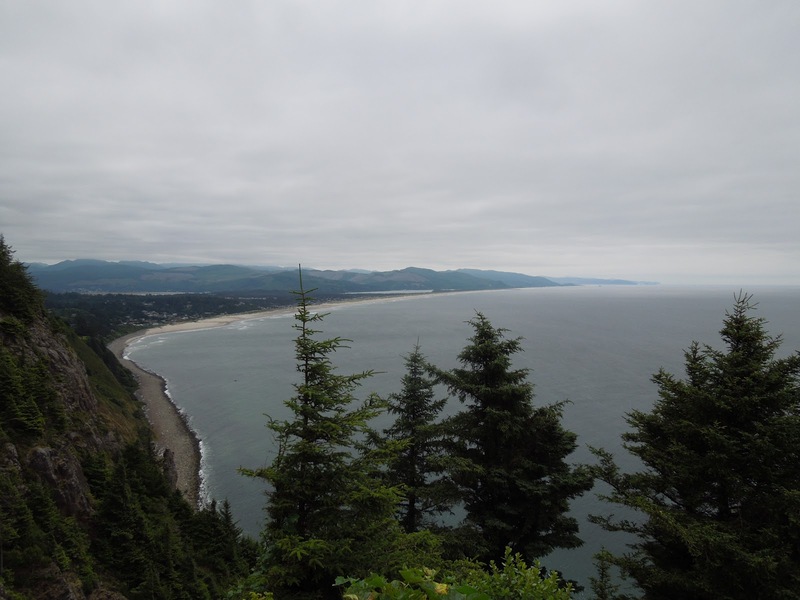 You have to love the Oregon Coast in the summer. MS isn’t wearing a hat or gloves. Our trek continues to Seaside, again, where we didn’t have anything in particular to see. We wanted to make a stop someplace, get out, stretch our legs and see if anything caught our eye. Seaside has a quaint little shopping strip with a carousel at one end and the ocean on the other end. We walked, bought some chocolate, watched the carousel, walked to the beach and watched some teens play beach volleyball, while Christian music blared from large speakers brought to the beach. I’ll see if I can upload a video of that for you all! After spending about 45 minutes in Seaside, we got back into the rented Subaru and began working our way to Portland. The trip from Seaside to the City takes about an hour and a half, but based on our timing, we’d be arriving in Portland right during rush hour, so as we made it into the City limits, I made an executive decision and had us pull off and visit the Japanese Gardens and the International Rose Test Garden. More on that in our next installment. Are you drawn to the water? Do you love the beach/coast? 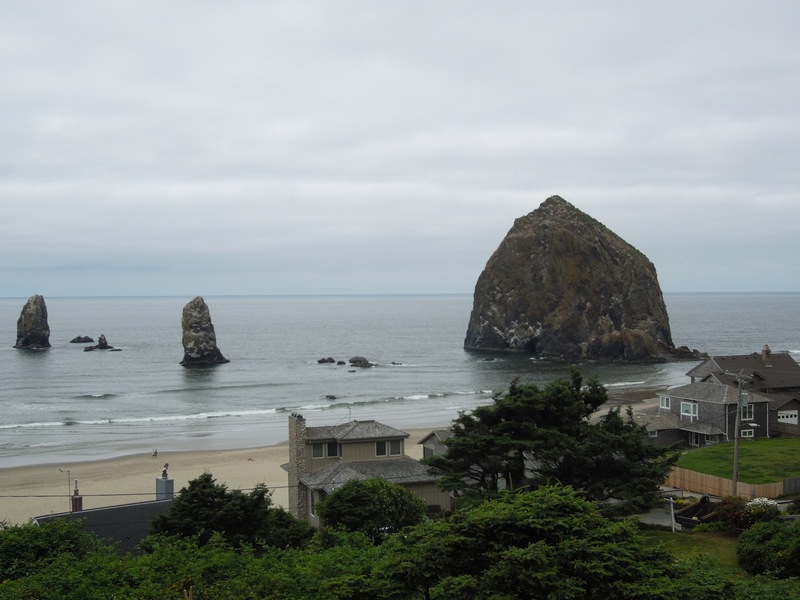 Does the sight of Haystack Rock want you to gather 5 of your closest friends and set out on an adventure to save your neighborhood? 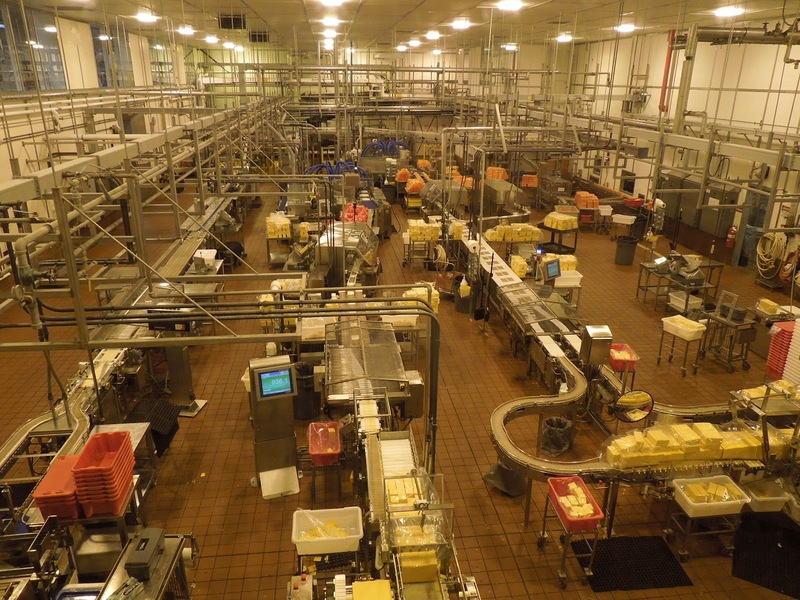 When traveling do you change your route so you can visit a cheese factory? Be the first to know when a new post is published: sign up to receive them via email or directly in your RSS Reader. Follow me on Twitter or Google Plus too! By Tim in Travel on August 28, 2012 .